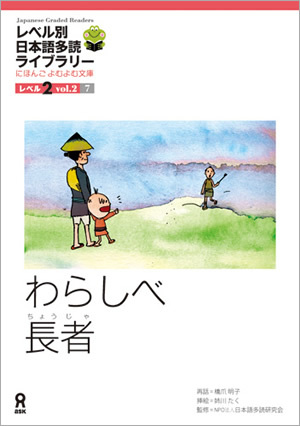 I think “Kasa Ji Zou” was better than “Girl.” The old grandfather and old grandmother are cute, kindhearted people. 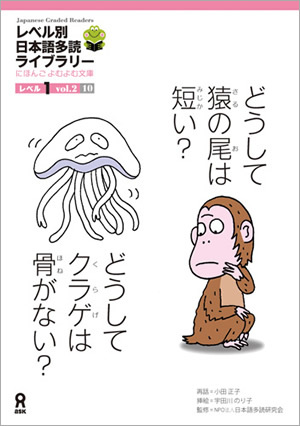 The kanji and tango is not difficult. With this book, you also don’t need to have a dictionary. I would recommend this book to third and fourth year students, and possibly ambitious second-year students as well. There’s a lot of vocabulary that we don’t learn in class, but there are also helpful foot/side-notes that explain some of the vocabulary and historical references. The art style in the book is pretty nice, and that makes it fun to read, as well as the fact that the stories are pretty interesting. 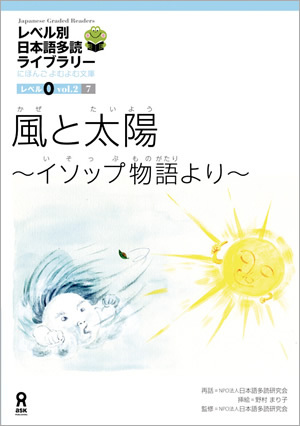 Since the sentences repeats itself, Wind and Sun~Aesop’s Fables~ was extremely easy. There were many vocabulary words from last semester. Because it was a little bit too easy, I didn’t find the plot to be very interesting. But you can read this story really quickly. This story was very fun and pretty. 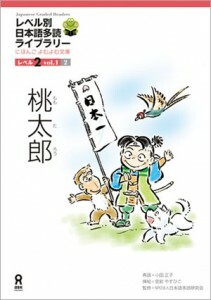 Momotarou was very kind because he handed out tasty dango so nicely and was friendly to every person/animal he came by. I recommend this book to anyone who likes adventure and weird stories. The sentence structure we have already learned there a couple of words you may need to look up but its a very doable reading. The drawings are very cool too. Wow, I love books like these! This kind of folk tale is a little bit weird, but really funny. This book is extremely easy to read, so you don’t need a dictionary. If you are really busy, read this book! 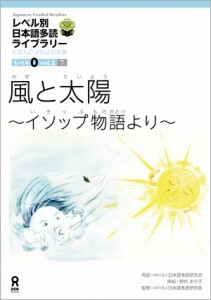 Out of all the Japanese Graded Readers books, this one is my favorite. This book made me laugh. I highly recommend it! 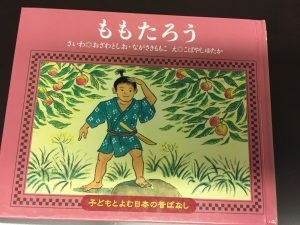 この本はとても楽しかったです。尾が短い猿はとても悲しですね。私は猿の尾切れた時とても痛かったと思います。クラゲとても悲しかったと思います。クラゲはとでもやさしいでした、でも王様はけらげが大嫌いでした。I think this is an interesting story because both monkey and jelly fish were really nice, but they weren’t treated good at the end. I think it must be very painful for the monkey to lost its tail, and for the jelly fish to lost its bone. I would recommend this book to my friend because it is a very interesting book. 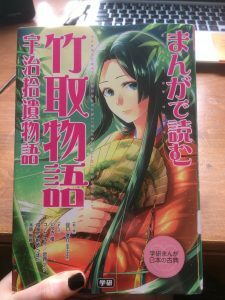 It is a little bit long, but not hard to read. There are a lot of grammar we covered in class, and some new vocabulary. I also think there is a moral behind this story. It’s a great book to read! Some parts were difficult to understand, in particular, the dialogue during when Momotarou gave the animals the food. I’m guessing that had something to do with them following Momotarou to the mountain, but I didn’t really understand why they followed him. However, the kanji had furigana next to it, so the kanji itself did not hinder reading. The pictures in the book helped with understanding of the storyline. This was a pretty good story. It had relatively simple words and sentence structures most of the time. If you like folktales, you might find this interesting. 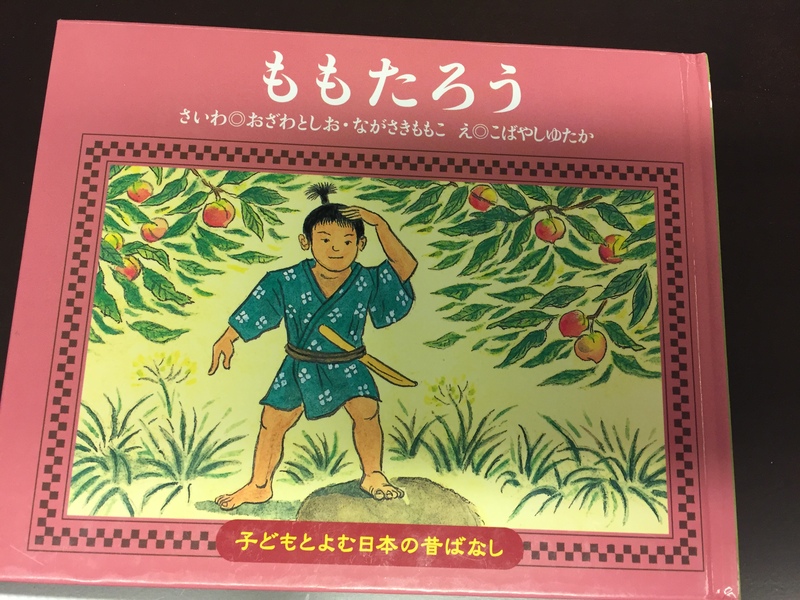 I would definitely recommend this book to other Japanese 1 students. It is easy enough to read, with only some minor grammar points I didn’t understand, and I knew much of the vocabulary as well. 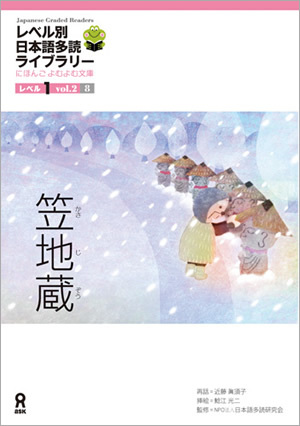 It is a heartwarming story with some very beautiful and unique illustrations.